We are delighted to announce the publication of a ground-breaking new book by Michael Marmot – The Health Gap. There are dramatic differences in health between countries and within countries. But this is not a simple matter of rich and poor. A poor man in Glasgow is rich compared to the average Indian, but the Glaswegian's life expectancy is 8 years shorter. The Indian is dying of infectious disease linked to his poverty; the Glaswegian of violent death, suicide, heart disease linked to a rich country's version of disadvantage. In all countries, people at relative social disadvantage suffer health disadvantage, dramatically so. These health inequalities defy usual explanations. Conventional approaches to improving health have emphasised access to technical solutions – improved medical care, sanitation, and control of disease vectors; or behaviours – smoking, drinking – obesity, linked to diabetes, heart disease and cancer. These approaches only go so far. Creating the conditions for people to lead flourishing lives, and thus empowering individuals and communities, is key to reduction of health inequalities. 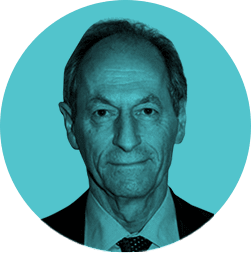 Michael Marmot addresses these health inequalities and demonstrates ways to make them smaller. The new evidence he offers is compelling. It has the potential to change radically the way we think about health, and indeed society. And read about his first book with Bloomsbury 'The Status Syndrome'. Labels: book; health gap; international; social determinants of health; bloomsbury UK; Unequal world; status syndrome.